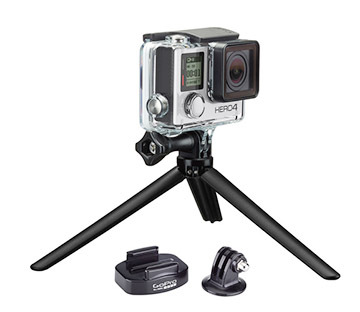 Looking for a camera tripod attachment that makes your photography life easier? 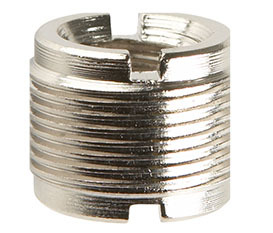 How about a quick release adapter? Like the rest of us, you don't want to waste time screwing your camera on and off every time you use your tripod. Pour yourself a tall glass, a frosty mug, or whatever your favorite drink is and take a minute to relax. This ain't rocket science , but it can get confusing. This post will help you get a better understanding of your options. But first, what's the big deal about how you attached your camera to a tripod? 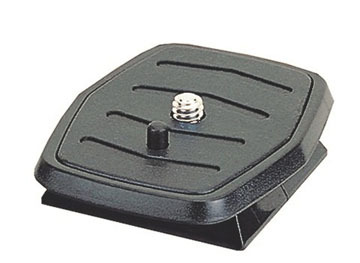 A quick release camera tripod mount saves you time and is the most popular selling tripod accessory on the market. The challenge is to find out which is the best system to attach you tripod to your camera. You want it to be safe, secure, easy to use, and affordable. The good news is that you have plenty of good choices. I've used 5 different quick release systems over the years and they've all worked fine. After much internal debate, I recently switched my Manfrotto tripod over to Arca Swiss compatible and now I have several plates to mount my various camera bodies and long lenses to any of my tripods. I like the ability to grab any camera and any tripod and know that the mount is compatible. If you only use one tripod and one camera, you don't have to worry compatibility between your tripods and cameras. You can get any camera mount system. 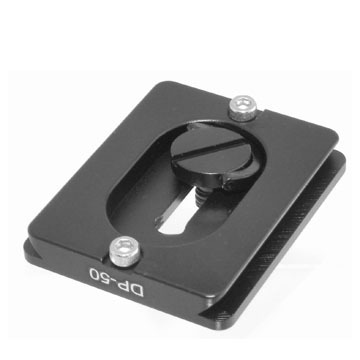 The quick release plates that have a D-ring are the easiest to attach and remove. Pu-50 is the most widely used Arca Swiss compatible. 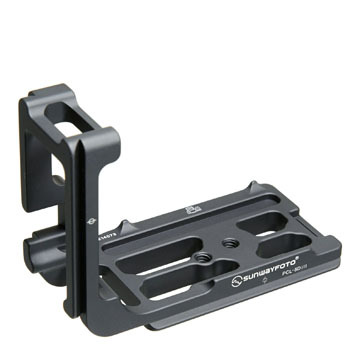 Camcorders and heavier lenses work better with larger quick release plates. The biggest issue with proper camera tripod attachment is compatibility. 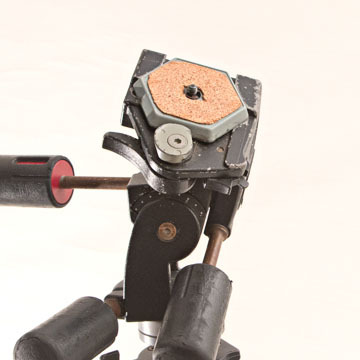 For example, although they look quite similar, my Rocketfish tripod head will not accept an Arca plate and vice versa. Make sure you understand the different shapes and sizes before you buy. Some quick release systems are unique to the company that makes them and some are universal, like the arca swiss. You have lots of options. Are you confused about what's the right thread size for your camera attachment? 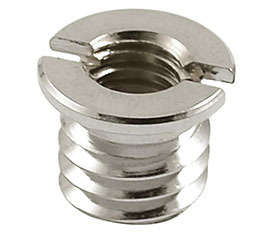 Here are the only two screw sizes used in the world of photography and tripod mounts. Almost all cameras that you will ever use have a threaded mounting hole with a thread size of 1/4-20. 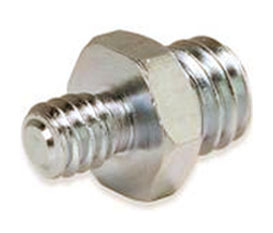 Much larger cameras and heavy duty lens mounting holes take a larger screw thread size of 3/8-16. 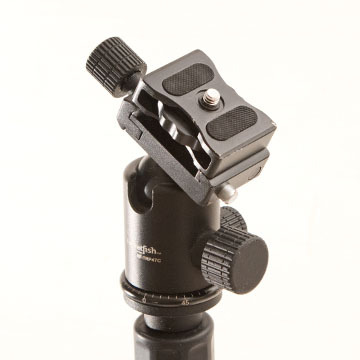 A variety of adapters make it easy for you to attach a 3/8 tripod mount system to a 1/4 inch system and vice versa. 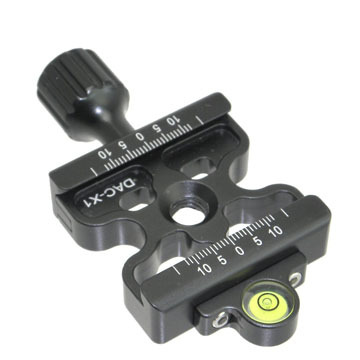 These tripod attachment adapters are very affordable and I usually order a couple at the same time because they are small and easy to lose of you're absent minded like me. I am an affiliate of Amazon. But, even if I wasn't I'd recommend amazon.com as THE PLACE to go to read reviews on cameras and photography equipment. You get more reviews and longer more detailed comments than even the dedicated online photography retailers. Can you tell by the photos of my collection of tripod mount systems that I've played around with over the years that I;ve had some experience in this department? In addition to the Arca on the left, I still have these 3 other quick release systems in my home, but I use the Arca system 90% of the time. Here is a quick 90 second HD video that shows you these four different camera tripod attachment systems. Click the full screen option on the bottom right and you can really see these accessories up close. 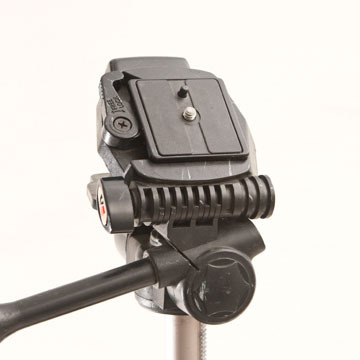 The Rocketfish Quick Release has a simple spring-loaded pin that prevents the plate from sliding out if you neglect to tighten the clamp properly. The Ambico, and similar all plastic models, come with cheap tripods. 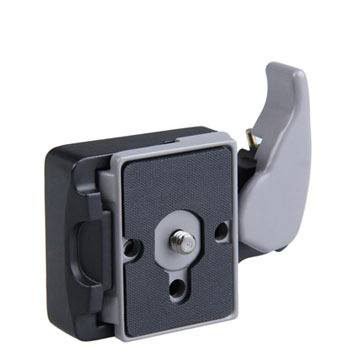 Although the plastic will function fine, especially for small cameras, the tripods they come with are not very steady and often break after a short time. 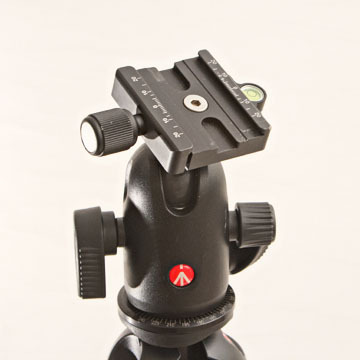 My ancient Bogen hexagonal tripod attachment system is long ago discontinued. I've had that tripod/head combination for over 35 years. It's heavy as can be but as solid as the rock of Gibraltar. 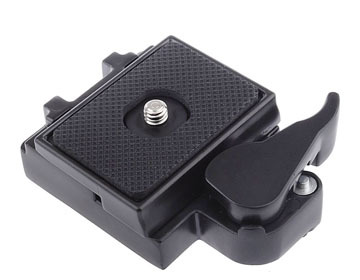 One of the readers of Better Digital Photo Tips just bought this quick release plate. It's the universal PU-50. I've converted all but one of my tripods to the Arca-Swiss system. You likely don't have a need for several tripods like I do, but It's really convenient for me to have interchangeable ways to attach my cameras to any one of my tripods. The Arca system is the most well known system and many companies now make their quick release attachment systems compatible with Arca Swiss. 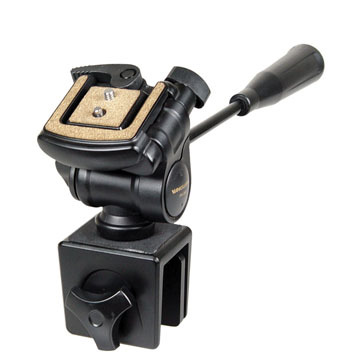 Even Manfrotto started the switch over in 2013. 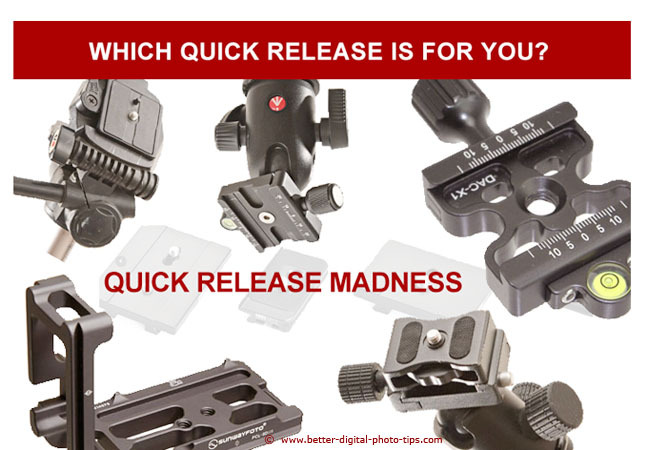 Whether it's a quick release mount to attach your camera to your tripod, or an attachment for another accessory, you've got lots of choices. 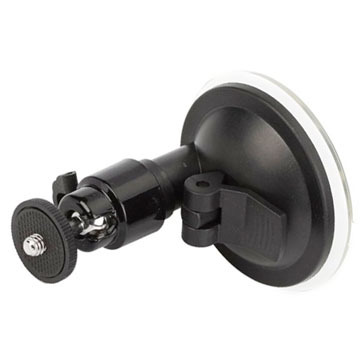 If you want another unique way to attach your camera to something sturdy how about a car window mount? There are spring clamps that can do this too, but an accessory like this should have a knob or lever to tighten the clamp onto your window. 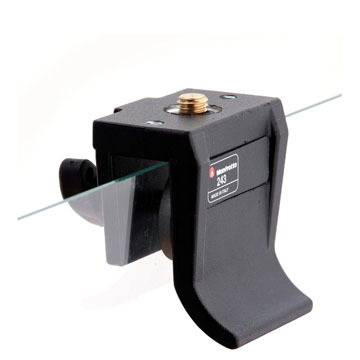 You get more control and security by being able to adjust the tension depending on the weight of your cameras and the position of the glass. 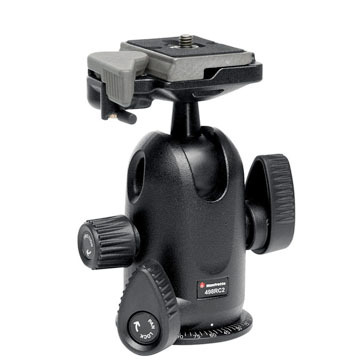 Your choices for the best camera tripod attachment, camera tripod mount, and camera mount hardware are numerous. A little bit of research and you're sure to find the right fit. Shoot more photos. Watch less TV.